NEW! 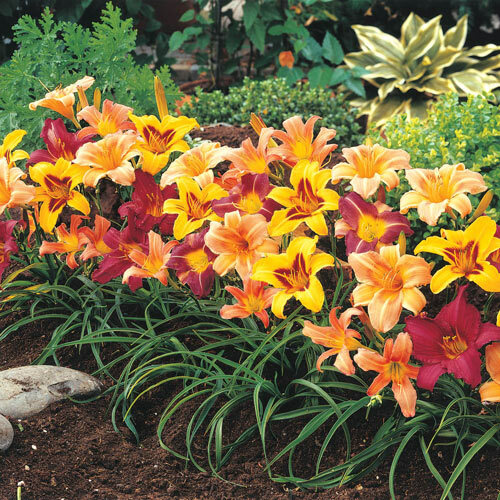 This money-saving mix of unique daylilies provides you with an excellent show of color for your perennial beds and borders. Flared, trumpet-shaped blooms are great for naturalizing, especially on a sloping landscape. Adaptable to a wide range of soils—just plant and forget them. They'll multiply on their own. Foliage TypeGrass-like, long linear with a rich green color. Flower FormFlared trumpet-shaped ranging in size. Soil RequirementsAdaptable to a wide range of soil, except excessively wet. Winter CareNone, except if fall planted, mulch for the first winter. 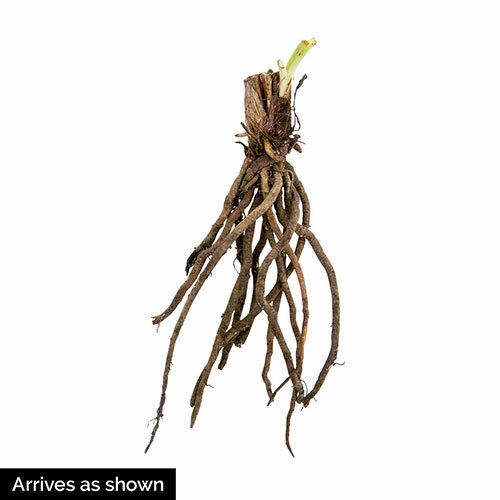 Remove early in the spring before growth starts. Additional InformationIf the foliage becomes unsightly during the growing season, it can be cut back to approximately 6". It will quickly regrow.